Vietjet carried more than 23 million passengers in 2018 and has reported an unaudited revenue of VND52.4 trillion (approx. US$2.26 billion), up 24% year-on-year. Unaudited pre-tax profit reached VND5.83 trillion (approx. US$251 million) while revenue from air transport reached VND33.815 trillion (approx. US$1.46 billion), an increase of 49% compared with 2017. As of 31 December 2018, the company’s cash balance was VND7.161 trillion (approx. US$308.6 million), DER was 0.04 times, ROE reached 37.6% and P/E was 11.5 times. Vietjet has operated 118,923 flights on 105 routes, including 39 domestic and 66 international routes, covering destinations in Vietnam, Japan, Hong Kong, Singapore, South Korea, Taiwan, Thailand, Myanmar, Malaysia, Cambodia and China. Vietjet’s aircraft are also operated at Dubai and Doha airports. In 2018, the load factor reached over 88.06%, the technical reliability was 99.4% and the On-time Performance (OTP) stood at 84.2%. Also in 2018, Vietjet began to receive and operate the new-generation A321neo aircraft, which could save up to 16% fuel cost, contributing to Vietjet operating costs in the coming years. 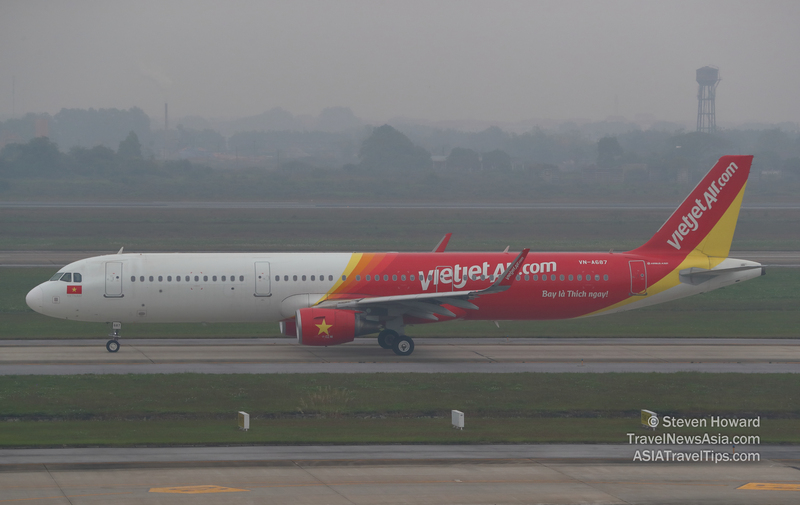 As of 31 December 2018, Vietjet's fleet included 64 aircraft with average age of just 2.82 years. See also: How's Business in Halong, Vietnam? Exclusive FHD Interview with Roland Svensson GM of FLC Grand Hotel. See latest HD Video Interviews, Podcasts and other news regarding: Vietjet.